Premium Pakistani 3 Piece for Women. WorkDigital print. 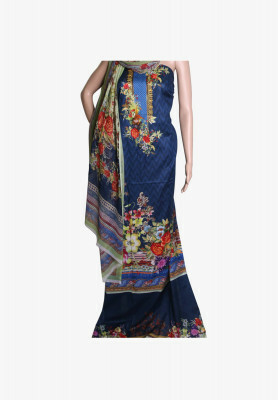 Orna – pure georgette and digital print(multi color). Colorful Pakistani 3 piece set made of Pakistani lawn fabric. 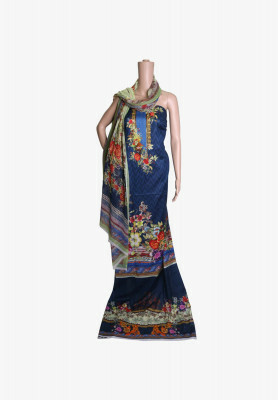 Comes with brilliant digital print design on navy blue top Digital printed and pure georgette dupatta and trouser are great compliments to the overall outfit. Best choice for attending receptions.